Gout symptoms and causes are a common topic for debate, especially for those new to the world of gouty arthritis. New gout sufferers often ask “Why me?” and many question their diagnosis because they do not understand what gout is. I hope you can discuss gout symptoms and causes with your doctor. If you cannot do this comfortably, you can get advice in the gout symptoms forum. We cannot diagnose your symptoms, but we can help you understand what your doctor says, and help you ask the right questions. But before you discuss your gout symptoms and causes, read these simple tips so that you can get the most out of your gouty discussions. 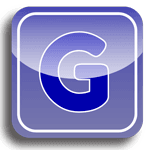 The gout symptoms forum is a great place to share your experiences with gout diagnosis, and to seek advice about causes of gout. I want you to understand the choices that are available to you, so that you can discuss these with your doctor and select the best treatments that suit you. Before you start, it helps if you have read all this Gout Symptoms Section. You can only make sensible choices if you understand that gout is usually easy to diagnose, but your symptoms might be confusing, so you need to be aware of what the likely causes of your gout are. These tips are specifically for the Gout Symptoms Forum. You should also read the general gout forum guidelines, before starting or joining any gout discussion. Where you are discussing gout symptoms due to a page I have written on this website, please include a link to the exact page so that we can all be clear which gout symptoms or causes you are referring to. When discussing your symptoms, either to share your experiences, or to ask questions about them, please be clear about which part of your body is affected, and the severity of the symptoms. You should include this in your first post, and if you plan on returning to the forum, it is a good idea to add this information to your profile, so that other contributors can see it easily. Gout is caused by excess uric acid. You should think about why your uric acid is high. The most common cause is genetics, so describe your family history if it is relevant. Other medications, being overweight, or consuming a diet that is very high in calories, iron, or purines might be important (for explanation of why calories, iron, and purines are all important see Foods To Avoid With Gout). Please include as many facts as possible, and make your facts precise. For instance, if you feel that being overweight might be causing your gout, please include your height and weight (or BMI if you know it). If you are doubting your gout diagnosis, please state why – why you think you have gout, or why you think you do not. Describe all the gout tests you have had, and be precise about the results. Assessments like high, low, or within range are meaningless – we must know the exact number and units of measure. If you have not already done so, read this Gout Symptoms section to see which topics are most relevant to you. Then follow the tips above, and discuss your gout symptoms. If there are no active discussions that match your topic, start a new forum post using the link towards the end of that page. The easiest way to find existing discussions, is to use the search box at the top and bottom of each page.